"In the case of a word which you have never come across before, you try to find parallel text passages... where the word also occurs... If you make the new text a readable whole, you say, 'Now we can read it.' That is how we learned to read hieroglyphics and cuneiform inscriptions and that is how we can read dreams." 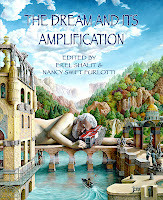 Amplification implies a recognition that the world of images lives and breathes in the objective psyche, independently from the ego, beyond the realm of the dreamer’s individual consciousness. During periods of transition and in times of upheaval, the archetypal world of the objective psyche speaks more strongly, and turns up closer to the surface. This chapter relates dreams that reflect the powerful movement of the collective, or objective psyche, and its appearance in dreams of the individual, beginning with Jung’s premonitions of World War One. One of these dreams, ‘four hands in the crossroads,’ reflects the axis between ego, Self and the tumultuous events of the outer world, and will be elaborated upon. Erel Shalit is a Jungian psychoanalyst in Ra’anana, Israel. He is past President of the Israel Society of Analytical Psychology. He is Founding Director of the Jungian Analytical Psychotherapy Program at Bar Ilan University, and past Director of the Shamai Davidson Community Mental Health Clinic, at the Shalvata Psychiatric Centre in Israel. His books include The Cycle of Life: Themes and Tales of the Journey; Requiem: A Tale of Exile and Return; and Enemy, Cripple & Beggar: Shadows in the Hero’s Path.